Having waited almost four years to move from Omnisphere 1.5 to version 2, it would be fair to say that Spectrasonics doesn’t exactly like to rush its creative process. 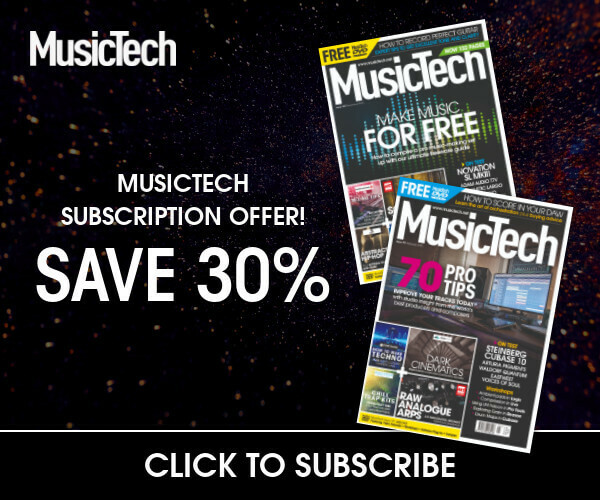 However, the task of crafting a world-class virtual instrument with thousands of presets isn’t something you can roll off the production line every few months. 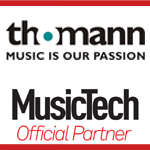 In truth, instruments like Omnisphere, Trillian and Stylus RMX are all products of years of investment. 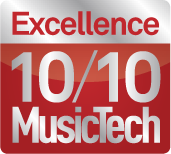 From the task of sampling a range of acoustic and electronic sound sources, through to creating a creatively rewarding virtual instrument – not to mention all the presets required to show all of this off – Spectrasonics has demonstrated perfection is time-intensive task. Given this supreme attention to detail, the fact that Keyscape has been almost 10 years in the making shouldn’t really come as a great surprise to us. 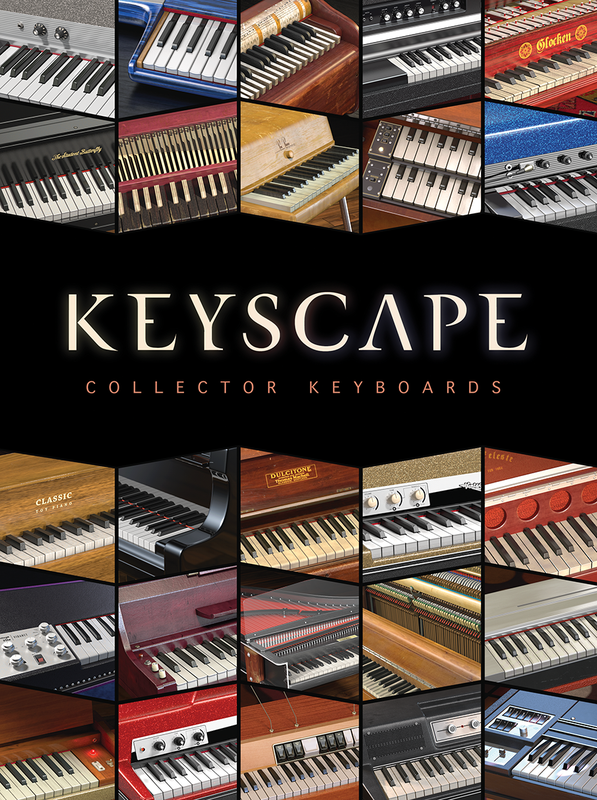 list of instruments and you’ll be impressed by the comprehensive set of electromechanical and acoustic pianos, or the host of intriguing additions like the Dulcitone and Chimeatron, but does Keyscape really raise the bar over what many players have access to already? 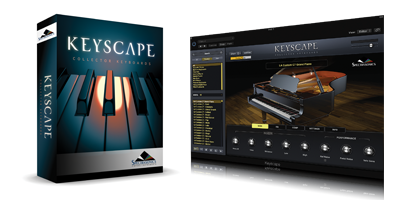 Keyscape is available as a download direct from the Spectrasonics site, or as boxed edition, with the content supplied on two USB drives. At a total of 77GB, Keyscape is certainly a big library, although when you consider than many of the 36 instruments have been sampled with up to 32 velocity levels as well with round robins, you can actually see that the space has been used effectively, rather than just being squandered. As you’d expect, Keyscape benefits from a healthy RAM allocation (8GB is the recommended standard, but we tested it with 64GB) and access to an SSD drive, but there is a Thinning button to lighten the load on older computers or on slower HDs, as well as a variety of options to fine-tune how Keyscape streams its sample data. 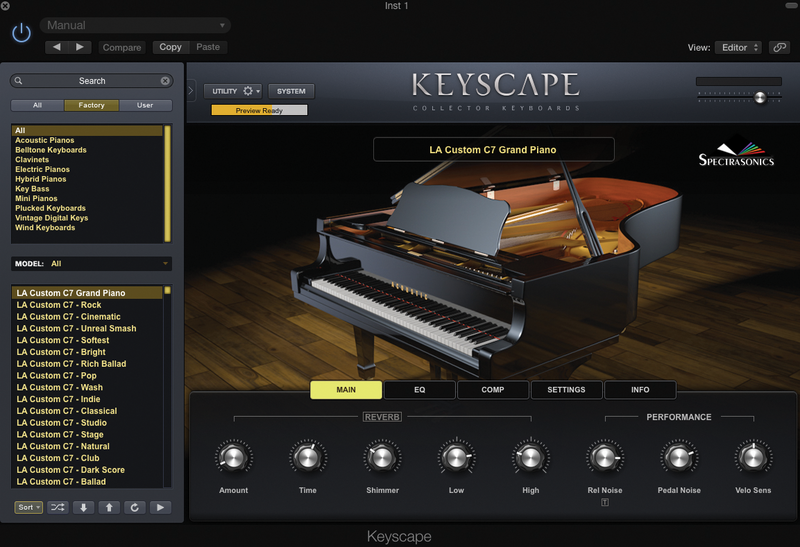 If you’re mainly interested in ‘big players’ included in Keyscape (like the LA Custom C7 piano, for example) there’s the option of a 30GB ‘lite’ install. Rather than thinning down the velocity layers, the lite installation reduces the number of keyboard models from 36 to eight, which should be sufficient for those playing live, who simply need a good version of each principal instrument group. If you’re an existing Spectrasonics user, it’s also worth noting that Keyscape patches can be opened directly from Omnisphere (more on this later), assuming you’ve upgraded to version 2.3 or higher. Keyscape is a software instrument that demands to be played. We could wax lyrical about the quality of the sounds, of course, but what immediately grabs you is how good Keyscape feels underneath your fingers. Some libraries – even the good ones – can feel like a series of recorded snapshots triggered by your fingers’ movements, whereas Keyscape feels and plays like a real instrument. Understanding why that is, though, reveals why Keyscape is such sonically effective musical tool. Firstly, the efforts expended in sourcing and restoring the instruments used in Keyscape has reassuringly nerdy attention to detail. The C7 Grand Piano, for example, belongs to renowned Los Angeles piano tech, Jim Wilson, who’s spent years tweaking his piano to perfection with Blue Point hammers and Weickert felt. Likewise, multiple generations of classic Rhodes, ancient clavichords, and vintage tack pianos have all be dusted off, polished up and restored to their former glory. 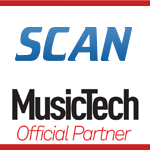 In short, Spectrasonics has sourced what should be considered the de facto standard for each keyboard model, so that the patch you load sounds similar to countless versions you’ll have heard on record. The next-most-important quality is Keyscape’s response to velocity – something that is clearly high in Spectrasonics’ mind, given the number of pre-programmed velocity scaling maps included with Keyscape. All the instruments demonstrate an expressive range of tonal and dynamic colours, which respond impeccably to your playing. The C7 Grand Piano, for example, sounds superbly warm and intimate in its lower velocity settings, while the Rhodes have all the nasal-like bite you expect when you wallop the keys. Certainly, my weighted Akai MPK88 keyboard has never felt more responsive than when it’s been hooked up to Keyscape. Another area that many developers often get wrong is noise. Again, this is another factor Spectrasonics seems to have nailed in Keyscape, understanding that those additional creaks, knocks and clunks make an instrument ‘characterful’, yet still giving you control to remove or tame noise elements as you see fit. Many of the instruments have direct controls for added ‘character’ – like pedal noise, for example, or, in the case of the Fender Rhodes instruments, the mechanical noise the piano makes as you hit the tines. There’s also a handy De-Noise button that has a direct impact on the hiss that some might find offensive. Keyscape’s interface will be immediately familiar to anyone who’s used Omnisphere 2, borrowing both its look and principal means of operation. For example, on the left-hand side of Keyscape, you’ll find a collapsible Patch Browser, letting you navigate the 500 or so patches included in Keyscape in an easy and effective way. Once loaded, each instrument has its own collection of macro controls, organised across a series of tabbed windows. 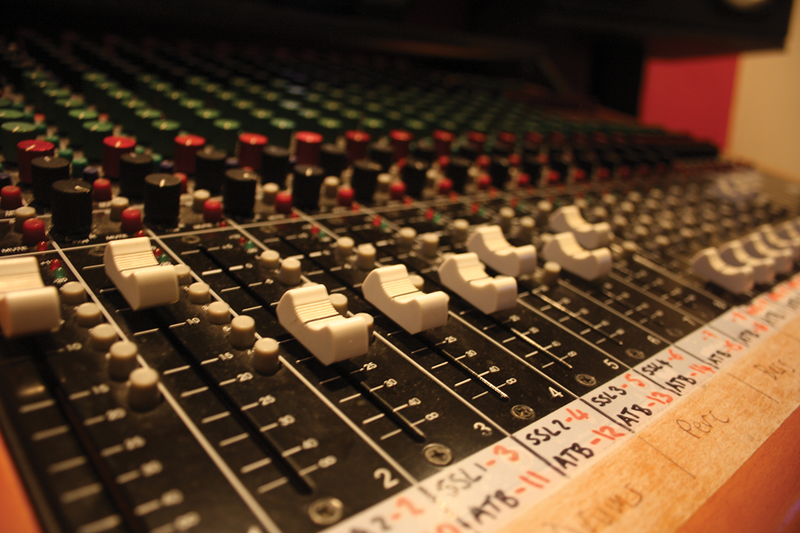 The precise set of controls is customised for each instrument, but you can expect to find controls for different mic sets (usually Close and Room) and integral instrument effects, as well and compression and EQ settings. Interestingly, each keyboard model is presented both in its relatively neutral form, as well as a series of presets that explore the sonic treatments that define the instrument ‘on record’. Rather than use a completely different sample set, though, Keyscape instrument variations make use of the effects options introduced in Omnisphere 2, including various modelled amplifier settings, reverbs, chorus units and so on. For many of the electromechanical instruments (like the Clavinet, to give one example), these effects are indispensible. Thanks to some surprisingly authentic modelling, they play a part in really adding to the musicality and versatility of the basic instrument model. To access the full ‘under the bonnet’ editing, you’ll need to open the patches in Omnisphere 2, where Keyscape appears as its own discrete library. Once loaded, the patches appear with the familiar macro controls found in the Keyscape editor. Close this window down, though, and you’ll see the more familiar STEAM-driven Omnisphere editing pages. As you’d expect, the journey into Omnisphere brings about an exponential rise in creative possibilities: from simple housekeeping techniques such as swapping out effects and playing multiple instruments, through drilling down to the more focused and creative extremes of techniques like granular synthesis. The cornerstone of Keyscape has to be the C7 Grand Piano, which for many, may well be worth the entry price alone! Having used plenty of alternative virtual pianos over the years, Keyscape’s C7 is certainly up there with the best: versatile enough to move from pop to classical, beautifully expressive, and realistic enough to stand on its own in a mix. Compared to other sampled pianos, the C7 Grand Piano favours a more intimate studio setting, rather than the roomier offerings included in instruments like Garritan’s CFX Concert Grand. Ultimately, it’s a case of horses for courses – if you like you pianos drenched in natural studio acoustics then the C7 might not excite you, but if you like a controllable and adaptable instrument, then the Keyscape solution is a winner. When it comes to upright pianos, some alternative libraries can disappoint, often sounding dull and clunky rather than capturing the quirky charm of a real upright piano. Keyscape’s Wing Upright, though, is a real triumph, with all the rough-and-ready edges of an upright piano, but with a distinctly hi-fi tone that sits perfectly in the mix. In addition to the main upright sound, you’ll also find a version of the Wing Upright that feature a Tack modification as well as an intriguing (and very useful) Tremolo option created using small metal beads. As you’d expect, the electromechanical keyboards in Keyscape are covered in plenty of detail. Just the Rhodes section alone seems pretty exhaustive: with an original MK1; a customised 1970s model; the infamous Piano Bass instruments as used by the Doors and even a modern recreation, in the form of the Vintage Vibes Tine Piano. Away from the Rhodes, you’ll also fine a healthy collection of Clavinets, Pianets and Wurlitzers, all captured in a way that mixes both the mechanical noise of the instrument alongside the more familiar direct output. 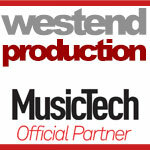 Most importantly, they all sound great, balancing a crisp tone with plenty of low-end punch when needed. 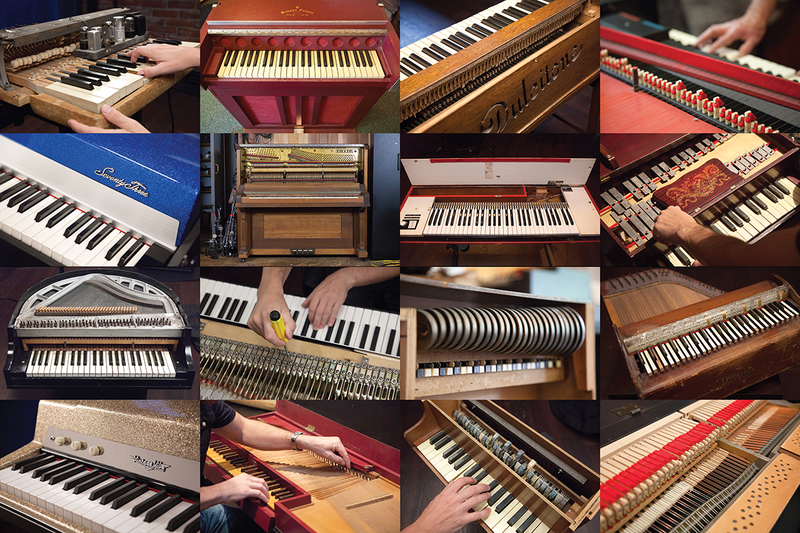 If you’re a fan of Tom Waits’ eclectic use of instruments, then there’s a real treasure chest of unusual acoustic keyboards included in Keyscape. From Celeste to Toy Piano and Dulcitone, there’s a range of quirky acoustic delights that clunk, click and chime in just the right way! As with the piano, the emphasis is on an intimate studio setting, which really helps bring out the detail of each instrument. However, as each model is generally presented with both Close and Room mics, you can always opt for a roomier sound. Just when I thought I’d exhausted the fun possible from Keyscape, I turned my attention to the Duo patches. As the name suggests, the Duo patches layer two models as part of the same patch, so, for example, the Tack setting on the Wing Upright is layered with the Fender Rhodes. The Duo patches are instantly inspiring and exciting to the ear, arguably illustrating how some of the more unusual acoustic instruments work nicely as a means of doubling the main instruments. Possibly the only downside of the Duo patches is that you’re restricted to the pairings Spectrasonics offers, unless of course, you work with the Keyscape patches inside Omnisphere 2. Although you can’t edit the patches with the same degree of detail as you can in Omnisphere, it’s still possible to tweak the variety of macro settings offered and then select ‘Save Patch As’ from the utility menu. In the case of the C7 piano, this would let you create preferred EQ, Compression, Reverb, Tape Saturation and Performance settings that match your playing or style of music. Opening Keyscape patches in Omnisphere is a real eye opener, seeing how the basic sample material – presented as a series of 179 Soundsources – has been extended and developed using Spectrasonics’ STEAM engine. One immediate benefit is the ability to customise the effects as you see fit, either tweaking existing parameters, or adding some of Omnisphere’s more experimental options (like the Innerspace module, for example). One important addition is the ability to use Omnisphere’s functionality in respect to multi patches, including the Stack and Live modes. In this case, though, you’ll want to ensure you have plenty of RAM if you’re working with some of the larger patches. When you consider the full range of sound on offer, there’s little that directly completes with Keyscape. Both MOTU’s Electric Keys (£299) and Spitfire Audio’s North 7 Vintage Keys (£199) cover the electromechanical angle well, although Electric Keys is starting to show its age somewhat as it was first released back in 2008. North 7 Vintage Keys might be a good alternative for those that enjoying ‘mixing and matching’ different combination of mics and amplifiers, with at least four alternatives for each instrument. 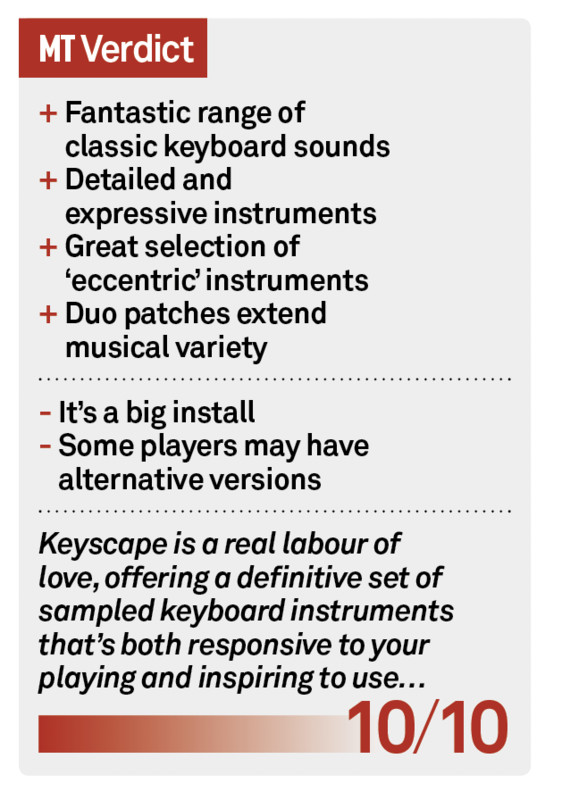 Of course, neither of these two solutions include the range of acoustic instruments also offered in Keyscape. 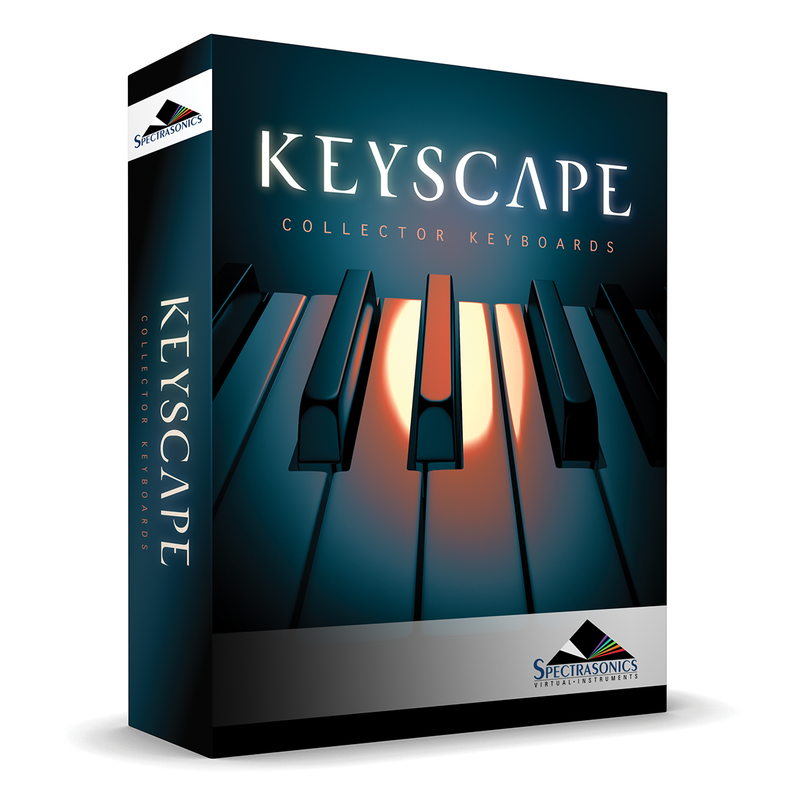 Factoring in both the range of models included in Keyscape, combined with the sheer quality of sampling involved in capturing these unique instruments, there’s little doubt that Keyscape is an impressive package. Even so, given the wealth of content included with applications like Logic Pro X or Komplete 11, it’s highly likely that many players will have many (though not all) of these instruments in an existing form. Komplete 11, for example, now comes with three workable acoustic pianos – The Gentleman, The Maverick and The Grandeur – as well as a host of other vintage keyboards as part of Kontakt’s sound library. The real appeal of Keyscape, and the reason many musicians will jump on it, is that it offers some of the finest virtual versions of these classic vintage keyboards. Individually, of course, there still some great ‘boutique’ libraries available for Kontakt, usually focusing on one or more of Keyscape’s instrument sets. Also, given that Spectrasonics has concentrated on just two microphones sets, there may still be a place for solutions like Spitfire Audio’s North 7 Vintage Keys that offer four mixable channels per instrument. However, we’d still prefer one good playable version of any instrument, rather than a host of (occasionally) superfluous variations. As always, the quality of what’s offered in Keyscape has a price tag, both in respect to the cost of the software itself, as well as the cost of the computer to get the best from it. Big patches like the C7 Grand Piano will need a fast drive and plenty of RAM both to ensure fast loading times and plenty of voices – something that is true of any contemporary sound library with an emphasis on quality. As for the cost of Keyscape itself, well, looked at from a per-instrument basis, the models are less than £10 a pop – a bargain, by anyone’s standards! Ultimately though, my real delight in Keyscape was in playing the instrument, getting lost in the same way you would if you had a Grand Piano in the corner of your studio, or a Fender Rhodes. Probably my only real want, as such, was for more: what about other classic keyboards like the Hammond organ, for example (something we’ve rarely heard a good virtual version of since Native Instruments discontinued the B4 II), or some Mellotron Choirs and Flutes? For now, though, I’m more than happy with Keyscape, as it remains one of the most enjoyable and playable virtual instruments I use.